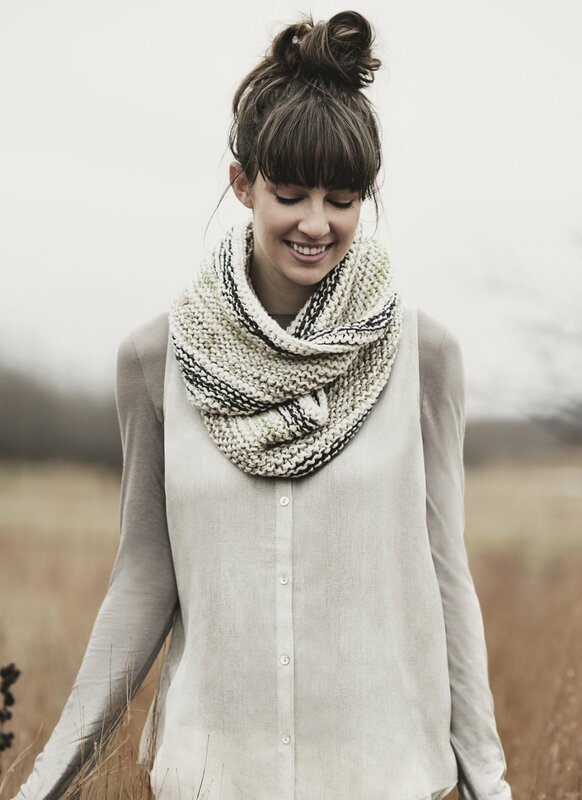 Worn long or doubled up, this versatile cowl will become your new favorite accessory. Quick to knit and beginner friendly, you simply cast on with two strands of our super soft Organic Cotton and knit garter stitch back and forth lengthwise, sewing it up when it’s done. Easy color changes gives Calendonia a modern marled look.